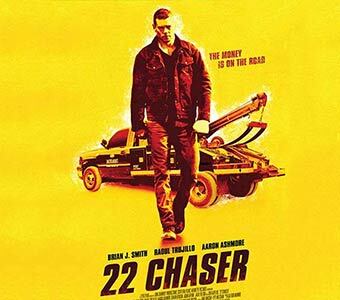 22 Chaser is the Canadian produced thriller about the dark underbelly of the tow truck industry in Toronto is Polish born Rafal Sokolowski’s first feature film. 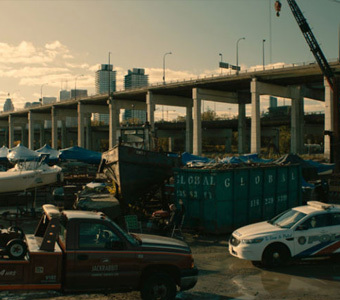 The film could be described as a film noir which paints Toronto’s Gardiner Expressway as a grimy haven for seedy tow truck’s (known as “Chaser’s”) looking to cash in on a car crash before the police do. Sokolowski is no stranger to the Toronto’s Polish Film Fest, in 2013 his film “Seventh Day” won Best Short Film. Ekran caught up with Rafal to discuss 6 details you may or may not know about the Polish-Canadian director. 1. Rafal holds a B.Sc. Degree in Biology from the University of Toronto and before shifting gears to arts, he was ready to apply to a med school. He has trained at the National Theatre School of Canada and was awarded the prestigious Fox Scholarship from New York to study directing as an apprentice at the National Theatre Academy of Krakow. 2. He also teaches film, video production, directing and acting. He has taught at York and Ryerson Universities, the National Theatre School of Canada, Warsaw College of Communications and Media and Soulpepper. Currently he is the Assistant Professor of Film at Ohio University. 3. 22 Chaser is Rafal’s debut feature length film. Before that he successfully created short films. His short Three Mother’s starring Kristin Booth and Camilla Scott screened at many festivals, including the Warsaw International Film Festival. His short Seventh Day won Best Short Film at the 2013 Ekran Toronto Polish Film Festival. 4. 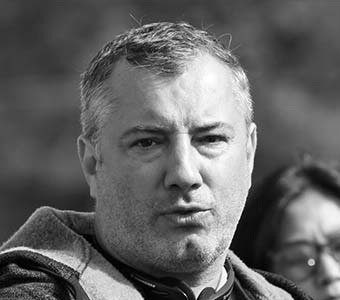 He is the founder and the Artistic Director of Blind Dog Films, an independent production company based in Toronto with a mandate to create, develop, and produce narrative films. Blind Dog Films partnered in production of all of his short films and several other theatre projects. 5. While harnessing his directing craft, Rafal assisted several master theatre directors including Laszlo Marton, Artistic Director of the Vígszínház Theatre and professor of the University of Theatre, Film and Television in Budapest while directing “Mirandolina” by Carlo Goldoni for Soulpepper Theatre Company in Toronto, and Krystian Lupa directing “Master and Margarita” by Mikhail Bulgakov for the Stary Theatre in Krakow. 6. Rafal performed in over twenty professional theatrical productions in Canada, US, and Europe including the Atlas Stage Canada production of “Theatre of the Film Noir” by George F. Walker directed by Miroslaw Polatynski, which toured Europe in 2008. 22 Chaser will be followed by a Conversation with director Rafal Sokolowski and the film crew, Nov 6th at 7pm at the Hot Docs Ted Rogers Cinema.